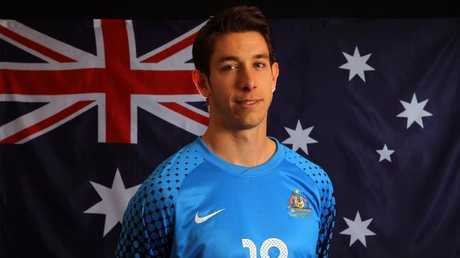 SOCCEROOS coach Bert van Marwijk is likely to give goalkeepers Brad Jones and Danny Vukovic at least 45 minutes against Colombia at Craven Cottage on Wednesday (5am, AEST). Van Marwijk selected first-choice stopper Mat Ryan for the 4-1 defeat by Norway and said last week he wanted the chance to run the rule over all three of his custodians in his first two friendly fixtures. Ryan had little chance with three of Norway's four goals but was to blame for the third after his short goal-kick was intercepted by hat-trick hero Ola Kamara and buried into the back of his net. Jones has usurped long-time No.2 Mitch Langerak following a strong 18 months in Holland with Feyenoord. Vukovic, who has been involved in the squad under Ange Postecoglou, is in line to claim a long-awaited first international cap. Former Liverpool player Jones has been out of the picture for four years after being frozen out by Postecoglou following a 4-3 friendly defeat by Ecuador. 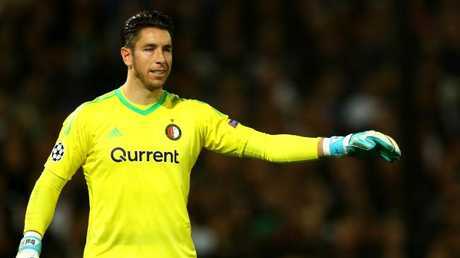 Jones helped Feyenoord win the Dutch title last season, ending an difficult time for the 36-year-old on and off the field after his career stalled at Liverpool following the death of his young son. But the West Australian believes he's in the best form of his career in The Netherlands and at 36, a far better player than when he last appeared for the Socceroos and following the example set by Italian legend Gianluigi Buffon. 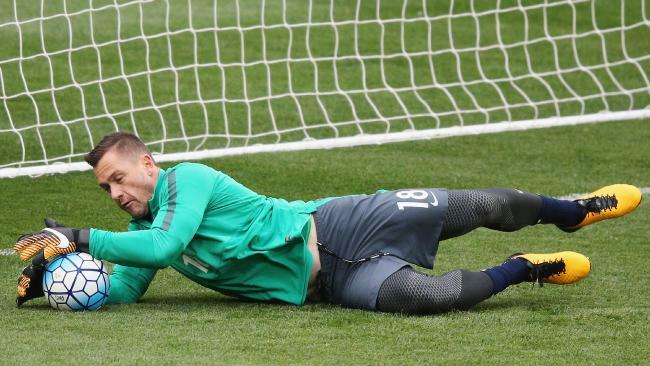 "Everyone always says that goalies get better with age and you see Buffon's playing at 40, the national team don't want him to retire, (Mark) Schwarzer was doing it past 40," Jones said. "It's not something new that you notice, sometimes keepers now are given a chance earlier. "That's not to say they're at their best earlier. "With myself I was a bit of a late developer and everything's kind of started later for me. "Physically I wasn't ready when I was 19, 20 like some of the kids are." Jones is making the most of being the first-choice goalkeeper for his club for the first time since his Middlesbrough days eight years ago and it hasn't gone unnoticed by former Feyenoord head coach van Marwijk. "It wasn't that I wanted to be a No.2, it was the circumstances of those clubs and decisions at the time," he said. "When I left Liverpool I said straight away I'm done with that, I don't want to be seen as a No.2. I want to move on and see what can happen."